It can be frustrating getting your “marketing stack” to play nice when all you want to do is focus on the video marketing that will bring you an ROI. 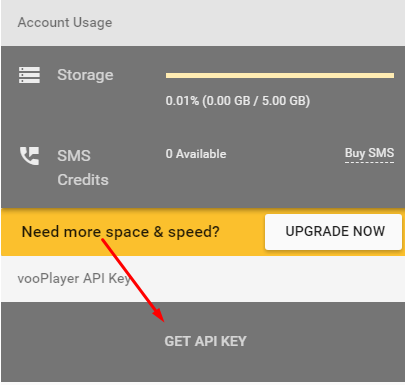 That is why we are very proud to announce the integration with Zapier across the entire vooPlayer platform and help you connect vooPlayer with your favorite apps! Zapier is the “in between” tool that works to connect your digital tools and make them play nice with each other. Zapier integrates with over 500 other web applications (a monumental amount). Zapier is ideal for connecting your web applications and automating your workflows so you can focus on the important work (and remove the manual “fluff” in your business). I’m sure you have experienced working with a handful of amazing tools, only to realize that you can’t integrate them with anything! Well, Zapier made sure this problem was handled and have brought together a great solution. 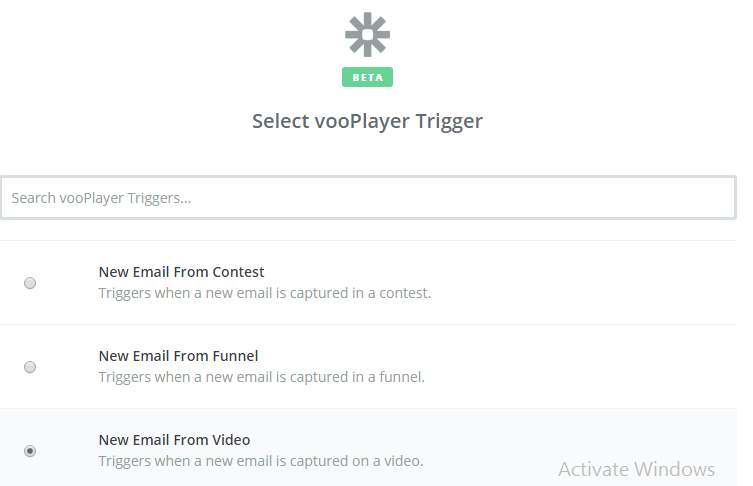 What vooPlayer triggers are available? This would mean that whenever, let's say, an Email is captured on a video using the Opt-in option, an action that you define later will be activated. You can use the Test button on the Zapier page to see if it is successful and then hit 'Save+Continue' button to go to the next step. Next, you'll have to connect your vooPlayer video with the zap (have in mind that you need to have optin box set in the used video ), simply choose which video you want to use and hit Continue. The last step would be to Test the Setup after which you should get the Test Successful notification. 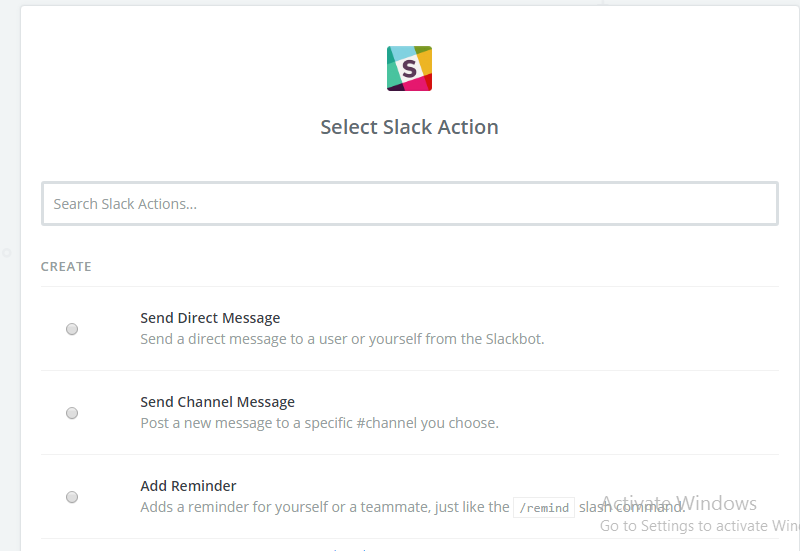 After continuing, you will have the option to Choose an Action App, this can be any application you have access from Zapier as shown in the list. We will choose the Action that the application will take in this case, sending a direct message to someone, channel message or a reminder. Continue to the next step by hitting 'Save + Continue' button at the bottom right. 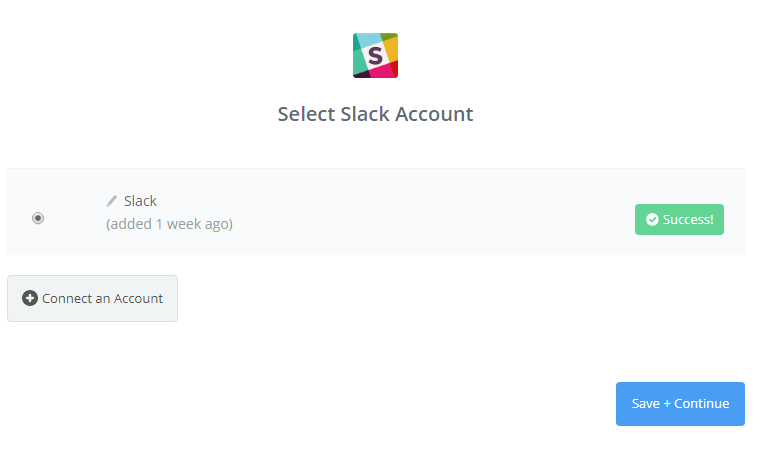 You will have the option to select the application Account, in this case Slack account, we will Connect an Account here and follow the steps to link it. Moving forward we will have some customization to our application action, this will be the step where you can set it up the way you want. 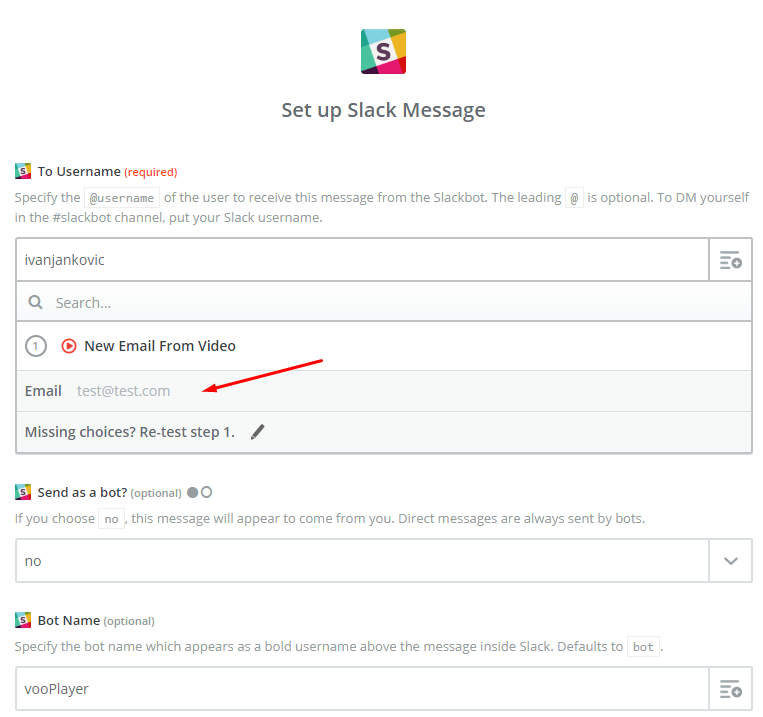 In the case of our Slack example, we can customize the message that will be sent using the data that was gathered by our Trigger. Same as before, we will have the option to test it and if successful, a notification will appear. Here we will have the option to add another step or finish the Zap after naming it. You can locate your existing Zaps on the Zapier Dashboard and have the option of editing them as well. What we have achieved by this example is, when someone fills in the mail part of the optin on a perticular video, a message will be sent through Slack application with the setting that we chose. This way you can customize your need with the applications that are supported by Zapier and the settings that best suit your needs.